I know. I know. 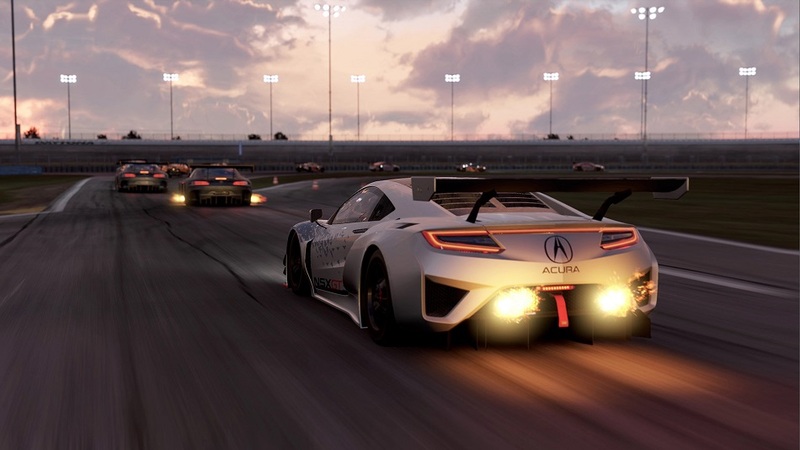 Project CARS 2 came out in September of last year. What little dust Slightly Mad’s racing sim sequel kicked up has settled, and the rest of the game-playing world has moved on to bigger and better things. Monster Hunter World or Shadow of the Colossus, anyone? But Project CARS 2 has haunted me. HIGH A great sense of speed and lovely visuals. LOW The braindead, cheating, rubber-banding opponent AI. WTF They sure do like phoning up this dude who never, ever talks. HIGH Nailing a succession of corners at high speed without sliding off the bike like a total klutz. LOW Encountering several nasty glitches within the first hour of turning it on. WTF A game centered around going extremely fast has such glacial loading times? HIGH The sandstorms are absolutely jaw-dropping. LOW The bosses need more variety. WTF Who thought releasing this on the same day as MGS V was a good idea? HIGH The minimalist aesthetic is consistently lovely. LOW The cars could stand to feel a bit grippier. WTF The ending feels sudden and anticlimactic. HIGH I still know the Battletoads jetbike level by heart, 20-ish years later. LOW Gunfright. The entire thing. WTF Battletoads Arcade? There are a bunch of better Battletoads games out there, Rare. WTF Getting an off-track penalty for taking a mandatory pit stop. HIGH Flying a crop duster into a cargo plane, then riding a jeep out of it. LOW The frustrating early mission that introduces the wonky drive-by mechanics. WTF We're escaping a full-on military response by hopping onto a freakin' freight train? HIGH Killing Jiang Shi by attaching spells to their heads. LOW Losing five hours of progress to a glitchy save file. WTF There's an achievement for beating someone up with a fish.